"ROTTEN SOUND will take part in “The Finnish Metal Tour 2” featuring fellow Finns FINNTROLL, ENSIFERUM, and BARREN EARTH. This four-week tour will kick-off on January 31st in Orlando , FL and conclude in early March in Raleigh, NC . A listing of confirmed tour dates and cites can be found below. ROTTEN SOUND has most recently seen the release of their Napalm EP. The six-song EP features three brand new ROTTEN SOUND tracks and three NAPALM DEATH covers as well as a DVD featuring a live set from the Obscene Extreme Festival. Napalm is currently streaming in its entirety at RottenSoundNapalm.info. 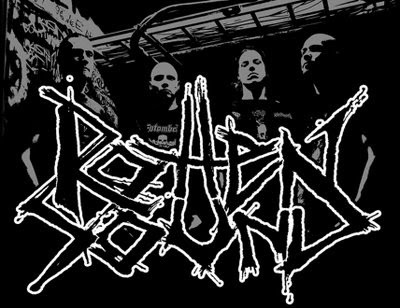 Rotten Sound has begun work on the follow-up album to 2008’s "Cycles," tentatively titled "Cursed." The brand new full-length will be mixed by Nico Elgstrand (Entombed) and is expected to see an early 2011 release date. Additional album details will be announced shortly."